James Willard Lee, Jr., 61, of 583 Main St., Apt. 6C, Yanceyville, passed away Thursday, April 11, 2019. Born in Durham County, he was the son of Frances Spivey Matherly and the late James Willard Lee, Sr. 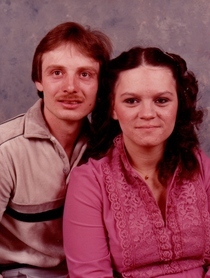 In addition to his father, he was preceded in death by his wife of over 32 years, Elizabeth Marie Hall Lee; daughter, Morgan Lee; two brothers, Donnie Lee and David Lee; sister, Kathy Lee. He was of the Baptist Faith. In addition to his mother, surviving are three children, James “Jimmy” Willard Lee, III of FL, Susan Louise Lee Villegas (Antonio) of Willow Springs, and Devon Allen Lee of FL; two sisters, Anne Thompson (Mike) of Smithfield and Linda Lowe of Durham; and his K9 companion that he loved dearly, Bella. A Graveside Service will be held at 11 AM on Tuesday, April 16, 2019 at Community Baptist Church, 3050 Old NC Hwy 86 N, Yanceyville, NC 27379 with the eulogy being delivered by the family. In lieu of flowers, memorials may be made to Caswell APS, 836 County Home Rd., Yanceyville, NC 27379. Harrelson Funeral Services of Yanceyville, NC is privileged to serve the Lee Family.